It’s all happening in Guildford this week. Stagecoach South introduced a fleet of nine ADL Enviro 200EV electric buses on the Guildford Park and Ride services today while, as predicted in my post on 16th November last year, the bus war between Arriva and Safeguard has escalated into Bellfields. I had a look at both developments this morning. First the electrics and their high profile ‘glide’ brand. There are four Park & Ride sites in Guildford; they’re well used, being popular with both commuters and shoppers. The four car parks are all relatively close to the city centre with Artington, to the south on the Godalming road, only a seven minute journey from the bus station while Merrow on the Leatherhead road to the east has a twelve minute journey time. The other two car parks just off the A3 are equally close: Onslow in the west is ten minutes while Spectrum to the north is eight minutes. So I suspect these not particularly arduous journey times are ideal for the electric buses with their high capacity roof mounted batteries with overnight charging giving a reported 150 mile range. Naturally the buses come with usb sockets and wifi, but on their current duties you’re hardly on the bus long enough to have time to sort out the plug-in lead from your bag, nor go through the logging in process for wifi. Handy facilities if the buses move on to other routes during their lifetime, I suppose. The seat moquette is to Stagecoach’s brash “iron brew” colour specification or a cross between Aldi-meets-Tesco-meets-Sainsbury’s. I find it a bit overpowering in double deckers and much prefer the softer grey colour scheme used in the north west (on Service X2 – pictured below); but for the short ride, the seats are comfortable enough, and at least the colours brighten up a single deck interior, if a bit in your face. Interior messages on the cove panels are thankfully large enough to actually be read and extol some of the virtues of the services as well as promoting Stagecoach’s longer distance routes from Guildford. Most impressive of all is the quietness of the transmission/engine, the only noise coming from bumps in the road, which those aside, means the smoothness of the ride really does stand out. Quite a few passengers were commenting positively about the “new electric buses” and it was good to hear general positivity about the service. Well done Stagecoach and Surrey County Council – the buses have certainly raised the profile for Park and Ride – an essential ingredient in Guildford’s notorious traffic challenges. Meanwhile, the residents of Guildford’s Bellfields estate woke up this morning to double the number of buses to take them on the 14-17 minute journey into the town centre. It was obvious to me that Safeguard were not going to take Arriva’s completely foolish incursion last November into the Park Barn estate and Royal Surrey County Hospital competing with their routes without reacting. They’ve been serving that area extremely well for decades so they’re not going to simply give up and allow Arriva to muscle in and take their business away. A retaliatory competitive service against Arriva into Bellfields was therefore only to be expected. My view hasn’t changed since writing in November: “the only likely outcome” (of the incursion into Park Barn) “is by next Spring Arriva will withdraw Route B (and probably slim down route A) as it won’t be meeting the profit targets expected at Sunderland HQ”. I’ll go further now and suggest a likely outcome is Arriva will now capitulate, withdraw their Service 3 completely and cede Bellfields to Safeguard. There clearly aren’t enough passengers to support two twenty minute frequency services. There’ll be no generation. Of the two operators there’s no doubt Safeguard enjoy any brand loyalty such as it is, but in the main, passengers will catch the first bus that comes along, which by dint of timings is likely to be Safeguard (timetabled to run five minutes ahead of Arriva). On Saturdays Arriva only run half hourly to Safeguard’s new twenty minute frequency so one departure will have a Safeguard bus behind, and the other in front. Arriva run an hourly frequency on Sundays under contract to Surrey County Ciuncil. Full marks once again to Surrey County Council who have displayed up to date timetables at all the bus stops along the route and in Guildford bus station – I doubt many local authorities would deliver up to date information so efficiently. Well done. Today’s experience demonstrates once again how Safeguard, unsurprisingly, have that all important attention to detail spot on with new timetable leaflets for their 3S service on board both buses together with balloons and sweets for passengers as a novelty addition and friendly drivers, while Arriva were still running a “lumbering double deck” I mentioned last November (completely unsuitable for the route) and a branded single deck for MAX 34/35 routes! Hardly demonstrating commitment. I’m beginning to wonder how long the entire Surrey outpost of the Arriva Kent operation controlled from Maidstone, will be sustainable. We’ve already seen Abellio Surrey give up and pull out ……. Will competition safeguard buses in Guildford? Head to head bus competition broke out in Guildford last week. It won’t last; one operator will blink first – read on to find out which. Long established family owned Safeguard Coaches runs circular routes 4/5 linking the city centre with Aldershot Road, Park Barn and the Royal Surrey County Hospital. Eight years ago they also ran part of route 3 serving Bellfields but back in 2010 Arriva, who also operated buses to both areas, took over the route to Bellfields exclusively leaving Park Barn exclusively to Safeguard. I’m not sure whether this arrangement was something of interest to the Competition Authorities at the time, but the local media certainly took an interest. In the event, the “arrangement” is now history as Arriva have crashed back into Park Barn with a ten minute dedicated service (Route B) at the same time as revamping a longer cicular route (service 26/27) which also served the Royal Surrey County Hospital and an area called Stoughton. Now RSCH gets its own ten minute dedicated service (Route A) while Stoughton has its own fifteen minute frequency Route C.
The spark for Arriva’s Park Barn incursion came a few weeks ago when Stagecoach were given rights by the University of Surrey to run buses through the campus which had previously been served by Arriva on their now abandoned circular 26/27. The replacement route A now has to bypass the campus using what’s known as The Chase which also treads on the toes of Safeguard’s route 4/5. Furthermore part of Stagecoach’s new network (Route 2) provides competition between the city centre and Stoughton to Arriva’s new Route C (old 26/27). Passengers have never had a better service with well over twelve buses an hour running direct between the city centre and the Royal Surrey County Hospital and up to twelve an hour between the city centre and Park Barn estate. Bus fares have also come plummeting down. One thing’s for sure, despite the Hospital being a busy attractor for passenger journeys and Park Barn being what we euphemistically call ‘good bus territory’, there’s definitely not enough passengers for the high frequencies now on offer. I feel sorry for Safeguard. 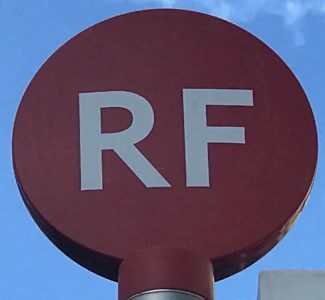 They’re rightly regarded as a quality independent operator (because they are); a winner of industry awards; and well respected by the local community and passengers who use the 4/5 route – which meets the needs of the area well. They’ve provided an excellent service in Guildford for ninety years and route 4/5 is a quality local route of which they should be proud. I’ve got sympathy for Arriva. It must have been disheartening to be chucked out the University campus which I’m sure was lucrative to serve on its 26/27 circular and the incursion from Stagecoach in Stoughton must be unwelcome. I appreciate the attraction of making good the loss with an incursion into Park Barn, but it simply won’t work out for them. Good for Stagecoach who must have been working closely with the University to gain exclusive access rights to the campus and introducing what looks like a decent mini network linking the University with its catchment areas. I’m impressed Surrey County Council have obviously worked hard to get all the bus stop flags and timetable cases updated with new route numbers and timetable displays even including large index displays and departure signs in Guildford bus station. Full marks to them for that and what a shame their comprehensive timetable book for Guildford only published and valid from 1 September (coinciding with the new Stagecoach routes 1/2) is now out of date. Arriva have produced an attractive timetable leaflet for the A, B, C routes available in their travel shop in the bus station but it was a shame there weren’t any available on the buses I travelled on today. I wonder if they’ve done a house-to-house in the affected areas to promote the new routes? Safeguard also have an attractive full colour timetable leaflet for the 4/5 (commendably Arriva have copies on display in their Travel Shop) and a small additional leaflet promoting extra buses to and from the hospital and its cheaper fares. As always in these things it’s attention to detail that’s important – not one of Arriva’s strengths. For example the internal cove panels in one of the buses I travelled on was promoting an out of date 0844 telephone number and season tickets for the full Guildford wide network rather than the new less-than-half-price tickets (bizarrely called ‘seasonal tickets’ – will they only last until the Spring?) available on routes A, B, C.
Safeguard on the other hand have high profile posters promoting their lower prices by the entrance of every bus – including bargain fares for NHS staff and their timetable and promotional leaflets are available on board buses. Also impressively their contactless payment option has a weekly and four-weekly cap built in. That’s quite an incentive to stick with one operator for your week’s or month’s travelling and as the incumbent operator with a long history of serving Park Barn and the Hospital, I’d be surprised if passengers desert them. Certainly my observations today, which I appreciate are only at the end of week 2, indicate far too few passengers using Arriva’s new Route B and there’s certainly not enough potential to grow the market sufficiently to sustain both this and the 4/5. I can’t conceive Safeguard ever capitulating, they look financially sound enough to sustain this unwelcome onslaught. The only likely outcome is by next Spring Arriva will withdraw Route B (and probably slim down Route A) as it wont be meeting the profit targets expected at Sunderland HQ. Routes A and C look like a good idea – it simplifies what was a rather convoluted 26/27 circular but if I’d been Arriva I’d have also redeployed resources from the 26/27 (and used the transfer in of more modern single deck buses from elsewhere) to boost and protect the service to Bellfields – providing a more attractive offer than double decks lumbering round every twenty minutes – it wasn’t that long ago the great hope for Bellfields was the ridiculous Mercedes Sprinter minibuses, but that ended in disaster as the buses were totally unsuitable; I can’t help thinking double deckers are just as unsuitable to the other capacity extreme and I’d be very wary of a locally based family owned highly respected operator reinventing history and returning to that pre 2010 arrangement of serving Bellfields! One to watch with interest in the coming months. I arrived in Liverpool yesterday lunchtime to try out Arriva’s new Click service and soon spotted the awful ‘Say Yes To Bus’ bus with its gaudy contravision vinyl, passing by on route 53. ‘Say Yes To Bus’ is a campaign funded by partners in the ‘Liverpool Alliance’ with the laudable objective of encouraging bus travel across the Liverpool City Region. A marketing agency called Agent Marketing is running the campaign. They tweet under the Better_By_Bus handle and as well as ‘Say Yes To Bus’ have come up with the ‘Give Bus A Chance’ slogan. Sounds impressive; so I thought I’d test how the potential for bus route 53 is being unleashed at Liverpool’s Queen Square bus station during last night’s peak period. In the event I whiled away a happy 90 minutes from around 4.30pm to 6pm observing and waiting. Here’s what I saw. I was also hoping THAT bus would come along to test out those ‘clear views’ from the interior! Route 53 is jointly operated by Arriva and Stagecoach running every 7-8 minutes between Liverpool’s Queen Square bus station, Bootle and Crosby. The timetable has alternate journeys provided by Arriva and Stagecoach. It’s a busy route. Arriva run 9 year old single decks while Stagecoach run a mixture of single and double decks, the latter being almost new Enviro 400 vehicles. They look impressive. It didn’t take long to notice queues building up at the Queen Square boarding point and to realise the Arriva journeys were consistently running late and pretty much on the Stagecoach timings effectively providing two buses every 15 minutes and double the expected wait for passengers. Not really Saying Yes To Bus. On the first occasion this happened, the Stagecoach bus had hung back at the setting down point at the top end of the bus station but regulars were obviously used to the phenomenon, saw the Arriva single decker getting uncomfortably crowded as it loaded, waited for it to depart and sure enough within a minute the nice gleaming Stagecoach double deck drew up and departed on the tail of the Arriva bus with a handful of happy passengers on board. Around fifteen minutes later and a hefty crowd has built up who were visibly relieved to see the single deck Arriva bus arrive at the setting down point further up the bus station closely followed by the next Stagecoach double decker but this time that driver decided the best thing was to head straight off without waiting for the Arriva leftovers at the departure stand. Another fifteen minutes; another hefty queue; another Arriva single deck pulls up; another Stagecoach bus immediately behind, this time a single deck too. The Arriva driver decides to share the load and closes the doors after taking around half the waiting crowd leaving the rest to hop aboard the Stagecoach bus. Another fifteen minutes; another hefty queue; and this time no sign of an Arriva bus as a Stagecoach single deck pulls up to greet the waiting crowd. Except sure enough it’s almost immediately followed by the Arriva single deck which has a curtailment at Waterloo Interchange just short of the scheduled Crosby destination to try and get back on time. The tables are turned as the Stagecoach driver sets off leaving some of the waiting crowd for Arriva. And guess what? Another fifteen minutes and another Stagecoach bus comes first and it’s another smart looking double decker. The crowds are slimming down as we’re approaching 6pm and the main peak is over. But where is that Arriva ‘SAY YES TO BUS’ single decker? I’d worked out from my sighting earlier in the day it was due about now. And sure enough it came gliding down the bus station but seeing the Stagecoach bus had just pulled away from the stand drove straight by without stopping wrongly assuming no one would be waiting. I looked at the man who’d just arrived at the stop and wanting to catch it too. He looked at me with a resigned look. I reckon he was thinking twice about Giving The Bus A Chance. I don’t blame him. It might make it ‘Better By Bus’ if Arriva paid some attention to the timekeeping of route 53 so the route’s potential really can be unleashed. A full fleet of double deckers would come in handy. Finally, on a more positive note, I hear Stagecoach sensibly have had no truck with the awful contravision for the ‘Say Yes To Bus’ campaign and instead settled for a more modest single deck side. Shame they’ve blocked the view out of the windows with other vinyl!